2nd edition of Craft Drinks India, scheduled from 3-4 July 2019 gears up to bring more cheer to the Alco Bev Industry! Riding on the overwhelming response from the first edition, the 2nd edition of Craft Drinks India will be organised from 3 -4 July 2019 at the White Orchid Convention Centre, Bangalore to showcase the NEW, EXCITING and FUTURISTIC developments in the industry and will also bring together the who’s who of the Alco-Bev fraternity to identify challenges and opportunities which will draft a roadmap for the industry’s growth. The international trade fair is jointly organized by NuernbergMesse, the organizers of globally recognized Beviale cluster of beverage events and PDA Trade Fairs Pvt Ltd. The upcoming edition of the Craft Drinks India intends to be the definitive trade fair that addresses the needs of the Alco-Bev industry. The second edition is scheduled from 3-4 July 2019 will feature a Trade Exhibition, Conference on “Grain to Glass” and Technical Workshops. Whilst the Conference will focus on topics such as building brands, attracting Investment, Create robust brand identities on ground and in the digital world, compliance requirements, equipment sourcing, strategies for brands and exports market for Indian liquor the technical workshops will focus on brewing and tasting. The Trade expo will showcase companies displaying products and solutions from an extensive list of exhibitor categories such as Production Equipment, Raw materials, Packaging and labeling equipment, refrigeration and cold storage, Cleaning equipment and Chemicals, materials and systems, Flavors and Extracts, Filtration equipment, Conveying technologies, Instruments and gauges, Automation and process controls, Laboratory equipment, waste water treatment, fermentation equipment’s, dispense equipment and bar services and many more. Exhibit at Craft Drinks India to meet the decision makers from the Alco Bev Industry. 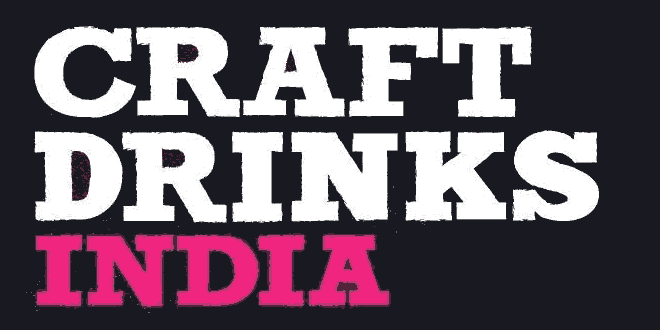 Craft Drinks India 2019: Why visit? Craft Drinks India is positioned to be one of the industry’s most important gatherings in India. Modern, innovative and characterful – Craft Drinks India presents products that inspire the market. Experience the open and friendly atmosphere of this major capital goods exhibition for the beverage industry. Over the course of two days leading figures from the global and Indian Alco-Bev industry will share their thoughts, insights, and experiences through a combination of conference and workshop-style sessions. Craft Drinks India will provide cutting edge technologies, products and solutions in the alco-bev industry to all its visitors.